Pritpal Kalsi is a study in contrasts. 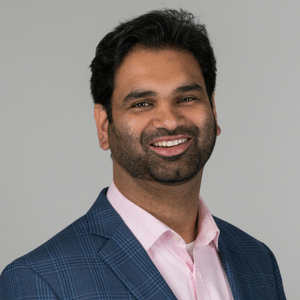 In his professional life, as director of SC&H’s Business Performance Management practice, Kalsi helps companies of all kinds perform better, faster, and more efficiently by refining the way they work and leading them to embrace and exploit the most sophisticated technology. In his personal life, he goes in the exact opposite direction, drawing great satisfaction from working with tools that have been out of date for more than a century and require him to take it very, very slowly to get it right. Kalsi’s hobby is photography — but with a noteworthy catch. He uses cameras that he collects from the early 1900s, instruments that he hauls around on nature shoots despite the fact that they can weigh up to 50 pounds and require a tremendous amount of patience. “The photography process with these cameras requires a strong discipline and an attention to detail that forces you to slow down significantly from the fast-moving technology world that we all live in,” he said. But while 21st century business optimization and early 20th century photography may seem as different as different can be, they have something fundamental in common. Success on both fronts requires a meticulous, multi-step process, as well as deep expertise and care. In our latest installment of NETFORCE – a series exploring how top performers are navigating today’s chaotic business environment to excel and accelerate forward – we interviewed Pritpal Kalsi about how he guides businesses to ever-better performance. For you and your colleagues at SC&H, business performance management is about much more than simply helping clients to incorporate new technology. You also help them to re-engineer and vastly improve their various work processes. Will you share what your collaboration with clients is like? Early on in the process, we ask a simple question of company executives and their staffs in a structured way: How can you do what you’re doing today — but better? By doing so, we come up with so many ideas that, frankly, nobody can actually execute on all of the improvements all at once. However, by asking that simple question and having a disciplined approach to facilitating that discussion, by collecting that feedback and then prioritizing what’s going to be ultimately the most value for the organization, we can very quickly package a set of things that need attention. Everybody does their job with a set of tools. We have ours. We have our methodology. We’re great at communicating. We’re great at being able to bring different teams together in a room and have a discussion, asking them very pointed questions about what it is they’re doing, and taking away from those conversations things that are working and things that are not working. Another set of tools that we bring to the table is our expertise with finance and accounting. This is what we do every day. We work with organizations of various sizes and industries, organizations that have different objectives. We have experience with so many institutions and their specific variables. Additionally, we have is our understanding of the technology. People will solve for challenges with the means that they know of, but there can be a general lack of awareness regarding new innovations and offerings. They can upgrade what I’ll call the art of collecting and organizing data. If they automate their process, they can have this information in real time. It’s no longer a responsibility of a team of three to four people that spend anywhere from 40 to 80 hours a week producing it. It could be instantaneous, eliminating the need to invest so many resources in a numbers-churning process that’s not really helping anyone. The goal is to get that consolidated report to management, so they can respond. If that’s real time, then you can re-purpose the team, so it can produce additional analytics or go after collecting additional information that was previously too challenging to capture just because everyone before was just in the mentality of just staying afloat versus looking ahead. What are the keys to success for your clients and you in these collaborative efforts? There’s a heavy emphasis here on team and people. When we emphasize team, it’s not just SC&H. It’s everybody from the client, starting with the executive who has the vision to every staff person who will enable the organization to achieve its objectives. Working together, we analyze where they are — what the issues are, what works and what doesn’t. Then, in a disciplined fashion, we assemble that information and go after what are the things that can be re-engineered through new processes and technologies. Much of the change and value comes from having that disciplined conversation around how we can do things better. Who do you want in the meeting when you’re planning for this transition or transformation? Everybody. Our expectations are set right from the get-go. Our brand is built on communication and building a team. When our clients refer us to other prospects, one thing they routinely say is this: these guys are going to be sitting in a conference room with you, with the white board and flip chart, and they’re going to go piece by piece. By comparison, others in our line of work will tell clients, “why don’t you send me an email with everything you do today, and then I’ll tell you what I think we can do.” That’s not how we work. So, specifically to answer your question: It’s everybody. As a matter of fact, it’s in our contract. We ask that everybody who needs to be a part of this project can participate in setting the strategy, the vision. We also want to help staff to become champions of the new ways that we develop together. We don’t want to make changes and have them fall back on old habits. We’re bringing transformation in the way of thinking and doing things. That starts with people. Those folks are in the discussions. The professionals at these companies are subject-matter experts. … They know what’s going on and what needs to go on. You mentioned earlier that the initial phase frequently generates more ideas than can be implemented at once. What do you in those cases? Through conversations, we can present what a highly mature process could look like. That may be very far away from where they are today. Perhaps we have to take a walk-before-you-run-type of approach. We also can look at some of the key areas where people are suffering – you’ll find people who because of bad processes are working 60 to 70 hour weeks. They’re not happy in their organization. We’ll find some roles in organizations where there’s tremendous turnover, where they can’t keep staff in positions long enough to learn the new process before they actually leave. You can’t succeed elsewhere if you can’t stop the bleeding, so to speak. We’ll focus on those. We really have to be the facilitator of the conversation. We serve that role. We don’t let conversations just happen. We control what the conversation needs to be in order to be effective. I presume, then, that your relationships with clients continue beyond the initial engagement. Is that correct? That is true. This is not a one-off situation. This goes back to our emphasis on people, teams, and relationship building. Much of our business comes from repeat clients. Let’s say we initially helped them to stop the bleeding and put them on a path to do more. As they grow comfortable with their new processes and technology, they’ll develop the capacity to go further and take the next step. And then they’ll call us. Are there any common pain points for companies? The pain points we find most commonly are these organizations have been around for many years and have legacy processes. For example, they’re using Excel for some of their critical financial collection activities. That’s manual-intensive work that’s highly prone to errors. And it’s slow. Also, depending on the organization, there can be disconnected sets of processes that should be able to communicate with each other efficiently but can’t. The people in financial planning and analysis, their responsibility is to understand market trends and look out for business opportunities. 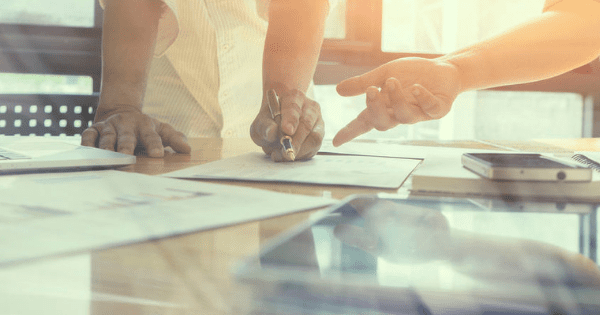 If they’re not able to recognize key financial metrics across their entire company and opportunities to enhance the business quickly, the competition will pass them by. They will miss out on what could have been. But the transition to a new process and new tools can be difficult. That’s a pain point that can be overcome, though, in part through quality training. Financial technology has always been around. The difference now is that we’re maturing beyond Excel sheets to more sophisticated tools. Companies can’t do things the same old ways and maintain a competitive advantage. Artificial intelligence is garnering a lot of attention and focus in the business media. What are your expectations for AI and its usage in business? There is a lot happening with regard to AI, obviously. For instance, credit card companies today recognize when our cards are being used for uncommon purposes, and they contact us instantly. Conversely, many websites instantly and automatically make product recommendations to us based on our behavior and purchases. These are examples of cognitive functions being performed by a computer somewhere. One of the questions I’m monitoring is: How can artificial intelligence help C-level executives understand their organization’s financial performance better and faster? We’re looking at where human-driven analytics can be complimented by computers and artificial intelligence. Such systems make recommendations for humans to review and evaluate. For example, if you’re a manufacturer, artificial intelligence can recognize if you have a product that’s been very profitable for, let’s say, the last six months and all of a sudden there’s been some kind of a hiccup. It can recognize that and tell you what caused the change. That information can then be used to make necessary changes. That’s different than older tools that just provided accumulated data sets that were there when you needed to pull them. We’re going beyond that now. The new tools are not just collecting data and monitoring information. They’re actually thinking about what is important to call out. During the course of your career in this field, how have things and changed? It’s changed just because it used to be okay for an organization to wait. Everything is backward looking and forward planning when it comes to financials. You look back just to understand how a company did and you look forward to determining how to operate in the future. Looking back has changed tremendously. It was normal back in 2005 for large companies to take more than two weeks to assemble all of their financial information in a consolidated fashion. Now the benchmark is more like three to four to five days — and many times even quicker. Not only is data collection and analysis faster today, it is also deeper. In the past, executives would receive static reports printed on paper. That’s no longer sufficient. Executives now want the ability to drill down. They want to start at a high level and ask questions in a meaningful way using technology. They want to interact with information. Speaking of drilling down, will you share an example of your work? What role did you play, and what goals did the client achieve? We work with one of the largest dental manufacturers in the world. They engaged with SC&H because the executives wanted to change their way of running the business. They wanted to go from being a more traditional organization to looking more closely at how consumers actually consume their products. They implemented what is called a strategic operating model – they had a vision for it, but they needed somebody to help them execute that vision. So, we came in and helped them execute to get the financials their executives wanted. It’s been really encouraging to see that transformation because we took a large, $3.5 billion-plus organization that was very much running in the traditional operating model and now they have new ways of looking at their company. Your use of antique camera equipment is uncommon. What do you find so interesting and satisfying about that hobby? I have a tendency at times of having too many things going on. In order to have a moment of peace and just relax, I’ve taken on a hobby that is extremely process-oriented. You just have to do step A completely and perfectly before moving to step B, and step B has to be executed perfectly before going on to step C. So many things can go wrong before you get to the final photo. You have to pay very close attention and you have to completely slow down. That gives me an appreciation for the passage of time and just focusing on one little thing at a time and doing it the right way. It’s also very rewarding when you challenge yourself. When most photographers go out for a photo hike, they take hundreds of photos per hour. For me, it’s typically a day or two to make one photo. The pace of the process allows me to really reflect on the image, whether it is successful by my standards. It’s a very rewarding process. It’s also a way for me to slow down. In your work, do you ever advise clients to slow down? I do. You have to follow what I call “the maturity model.” There may be multiple definitions of what’s considered the right way to mature when it comes to business processes. But, very simply, it is the walk-before-you-run mentality. Professionals read in the news and business journals all the things that they could and should be focusing on for their organizations. But if you haven’t previously focused on it, you probably can’t go from zero to 100 overnight. It’s important to adopt the mentality of, “let’s set the foundation and get the building blocks of your structure right,” before maturing into the next phase. One of our focal points as a practice is process re-engineering and strategic road-mapping. One of the goals here is to formulate a sequence of events. First, what critical areas need attention now? Companies can’t move on to next steps without putting the fundamentals in place. So where is your practice headed? Technology will continue to grow ever-more sophisticated and advanced, of course. That said, I believe the core of what we do will remain the same. The need to understand risk and how you manage it — that will never go away. And because of that, the services that we provide today will remain. The need will remain. We’ll always help organizations to get better, faster, and stronger, but the need to sometimes take things slowly is not lost on me. Every human being needs peace of mind across the various elements in their lives, and that extends to their work lives and not just personally. With every client, we have a unique ability to connect in a true relationship that leads to enhanced peace of mind.